Lake George RV Park Guest Reviews | See Why We're The Preferred Family Friendly Lake George Resort! Considering a stay at our Lake George resort? Please read the following comments from our guests and review how they rate our family-owned RV Park. We continually strive to become the very best of family resorts Lake George has to offer, and look forward to your visit! If you have stayed at the Lake George RV Park in the past, please sign our guest book, rate the resort, and take a moment to share your Lake George resort vacation with us and our site visitors! Please click below to submit a review and leave your comments. Each submission will be reviewed before it is posted on the website and edited or added at our discretion. This was our first time up at lake George R V Park . We have camped before with our kids mostly in tents. we had a pop up years back . but we are retired now so my wife and I went and purchased a new 5th wheel. we feel that the people at lake George r v park went out of their way to make us happy and accommodate us in every way . we were there for memorial day weekend and liked it so much we went back for the week of 4th of July. and we plan on going back this year for the week of the 4th of July. so thank you to the staff and other campers that made our stay enjoyable, we look forward to seeing everyone this year. We had a great week at LGRV Park! Our family played pickle ball, basketball, volleyball and took advantage of the great bike trails. Our site was large, level, clean and in a great location. This was by far one of the quietest campgrounds we have ever stayed in at night and during early morning hours. The staff was friendly and outgoing and seemed very happy to have us as their guests. The trolley system was convenient too! Our kids enjoyed the indoor and outdoor pools as well as the delicious ice cream. Well done LGRV Park! We will be back! My wife and I just love this park. We’ve been coming for many years and will continue to do so as long as we can. We’ve stayed there with our kids, with our gran kids and this time by ourselves and every stay as been perfect. Cody (our dog) loved bark park and made a ton of friends, too bad camping season is almost over for this year but we will be back in 2018. From the time you arrive to the time you leave you’ll enjoy every minute. We have stayed at LGRVP for a number of years and have enjoyed it more each time. We used the dog park this year for the first time and it was fabulous, well maintained and exceptional clean. LGRVP is a great place to camp for the entire family. We have been coming here for the past 17yrs. There is always something to do – you don’t even have to leave the park if you don’t want to. It is centrally located and easy to get to. I recommend it to all my family and friends. We had booked for the week following the 4th of July and intended to stay at another campground before coming to LGRV Park, well that campground was horrible and even though it was the 4th of July weekend they managed to accommodate us for those 5 nights and even put us in the site we had booked for the following 5 nights!! We love the pickleball courts and the grand kids love the kiddie pool. The campground is top notch in everything they do! 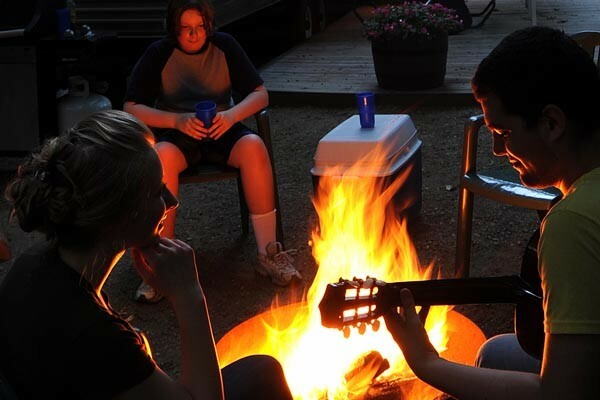 There is so much to do just in the campground and the surrounding Lake George area that we will definitely be returning for yet another visit. And oh yeah, Charlie’s Bark Park is the most most amazing dog park I have ever seen! The pet wash station is so super helpful. This is our second stay at this resort. The resort itself is super clean. The bathrooms and grounds are always clean and well kept. The nightly shows are top notch. The entire family enjoyed the free bingo. We used all 3 pools and the snack bar several times. A bonus is that the campground is extremely quiet at night. This is top notch and highly recommended. The weather was not perfect for our 5 night stay but there was so much to do that we were never bored! Although it rained a little every day, we kept our three kids busy with all the activities. We loved the shows and our dog (and kids) loved the dog park. The facilities are always clean and the staff super friendly. We’ve been camping here for the last 12 years and can’t wait to return next summer. In many years of camping, we have never found an RV park as nice as Lake George RV Park. From the moment you arrive, the staff is warm and welcoming. Very knowledgeable and friendly. The Store has everything you could possibly need, and then some. Sites are big, well laid out, and all the hookups are in the right spot. Trash collection at your site is awesome. Nice, large fire rings are provided. But, what sells this campground to us is the endless amenities. Pools, trolleys, miles of bike trails, sports courts, lounges, the French Mountain Playhouse…. the list goes on. There is no other campground we have found that nearly comes close to the Lake George RV Park, and we will be returning soon! We have stayed at LGRV Park several times and always have a great experience. The Park is beautiful and the staff is always very friendly and helpful. The sites are large and very well kept. We always recommend this park to friends coming to the area and we always stay when we are in this area. Join us in the playhouse for top notch performances and shows. Find out more about all that’s going on in the Adirondacks! Rules and regulations while you stay at Lake George RV Park. Find great restaurants and dining options in the Lake George area. Get ready for a little retail therapy during your vacation. No shortage of things to do near our Lake George RV Resort! Find local businesses who have what you need for your RV.